Joe Robinson was born in Newcastle Upon Tyne, England, on 31st May 1927 and would follow in his father and grandfather's footsteps into professional wrestling before finding further success on the silver screen. His wrestling career saw him grapple under the name 'Tiger Joe Robinson' and he won the European Heavyweight Championship in 1952. Whilst his wrestling career was progressing, Robinson also began to study acting at the Royal Academy of Dramatic Art. His love of martial arts also led him to hold an 8th Dan in Judo and a 5th Dan in Karate. After suffering unfortunate back injury whilst wrestling in Paris, Robinson decided to retire from the squared circle and shift his focus to the screen. 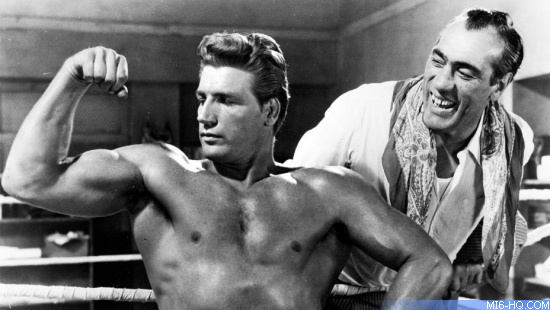 Robinson's first screen credit came in 1955 in 'A Kid for Two Farthings' A string of television roles (including 'The Avengers' and 'The Saint') kept Robinson busy through the 1960s along with some Italian productions of Tarzan where his title role had to be renamed 'Taur' or 'Thor' for legal reasons. Joe's younger brother Doug was also an actor and stuntman and the duo helped train Honor Blackman for her role in 'The Avengers.' The collaboration proved so successful that they co-authored her book Honor Blackman's Book of Self-Defence' in 1965. 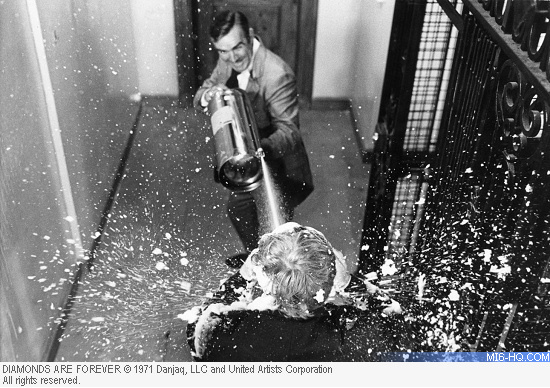 Together, Joe and Doug became to of cinema's popular stunt arrangers and began to work (uncredited) on the James Bond franchise in the late 1960s. Robinson's biggest, and final, screen appearance would be as Peter Franks, the smuggler that James Bond fights in 'Diamonds Are Forever'. 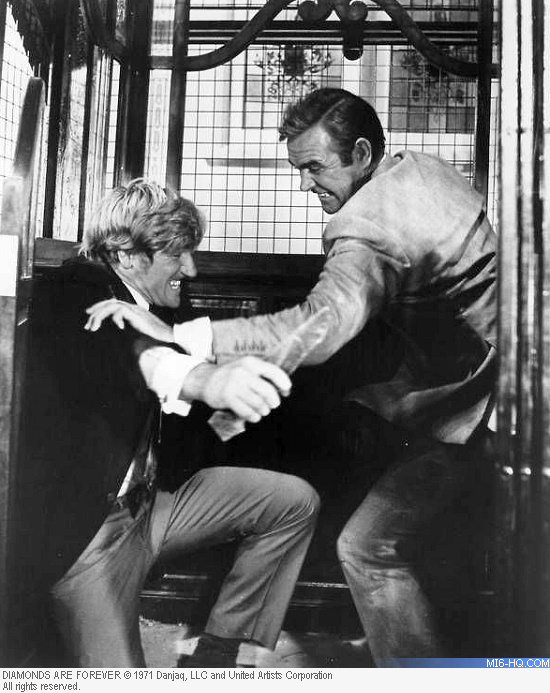 Known at that time as 'The Blond Beefcake', Robinson landed the part through his friendship with Sean Connery. "It was Sean who recommended me to the director because he knew what I looked like and what I could do," he recalled back in 2007. "I trained him to fight in those scenes and did all the choreography for it." 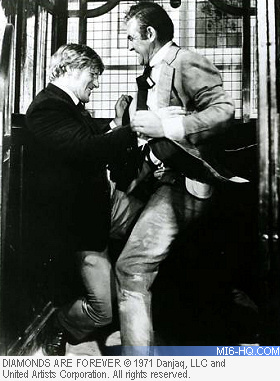 He was only supposed to be paid £2,000 for his role in the film, which also included stunt arranging the iconic elevator scrap. "Connery said that was rubbish because he didn't like the producers and thought he was badly paid," he explained. "So thanks to him I ended up with £9,000, which was a lot of money in those days." According to Robinson, he could have been involved on screen with 007 in a much bigger role earlier in the series. 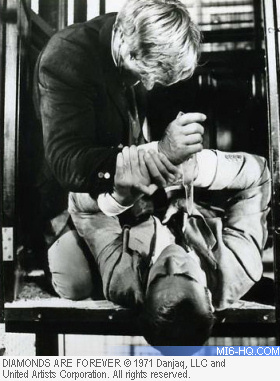 "I nearly got the part Robert Shaw eventually played in 'From Russia With Love', but Shaw was Sean Connery's golf partner and that's why he got it," he said. "I think Connery felt a bit guilty about that." Joe Robinson died on July 3rd, 2017 in Brighton, England, where he had opened a martial arts center. He married twice and is survived by his four children, eleven grandchildren, and four great-grandchildren.